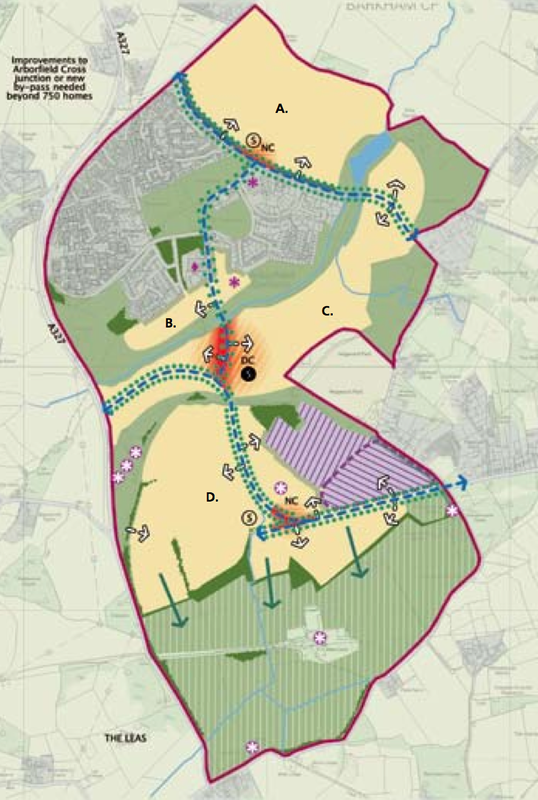 AG-RAG supports a suitably sized development that maintains Arborfield’s rural nature, as long as that development is restricted to brownfield behind the existing garrison wire and doesn’t start until the MoD have actually left the site. It’s been a busy few weeks. Most long time Arborfield residents would not have experienced a full on campaign such as the one we have just had. In previous years Arborfield was a bit of a backwater in Wokingham Borough terms with local village candidates Gary Cowan and Steve Bacon arguing over their respective views of the future direction for the village. We’d get a couple of leaflets from each through the door, but as both were active around the village anyway people were pretty clear as to what each one believed. That all changed in 2016 when Gary left the Conservative Party in a blaze of local publicity, and instead sat as an independent, and Steve Bacon retired to Wiltshire. That brought the prospect of a rather different election, and brought up the question of whether Gary had won all these years as a Conservative, or whether Gary was winning because he was a good councillor, and his party allegiance was largely irrelevant. 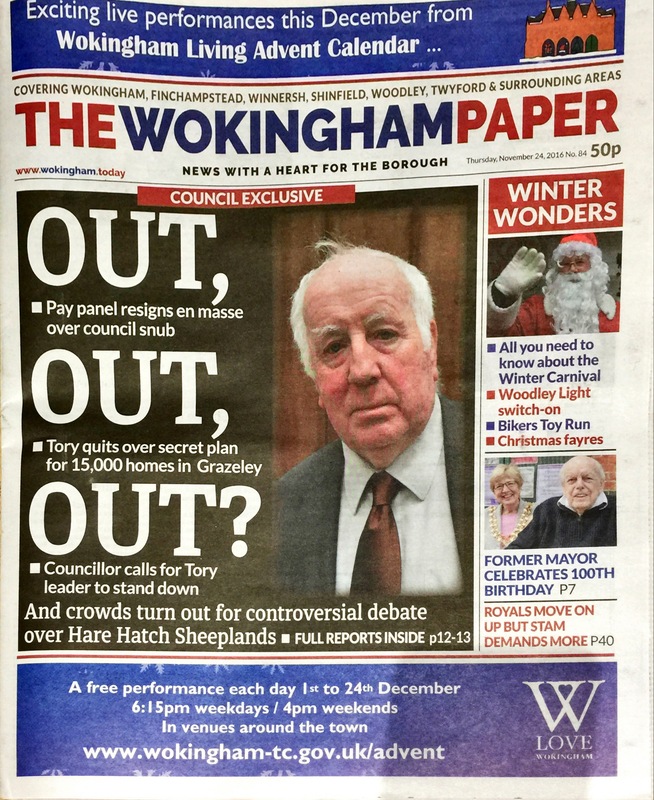 The Wokingham Conservatives were clear that it was the former when they parachuted in David Edmonds, their constituency party treasurer from Riseley, someone who had no experience as a local councillor, no previous association with Arborfield, no involvement in the extensive discussions over the school, no involvement with the Arborfield Bypass, no involvement in the regular Community Forums, no involvement in village events, and who prior to him and his wife knocking on every door in the ward multiple times in the last few weeks the vast majority of us had never met. Many long time residents of Arborfield were pretty sure it was the latter. Like all of us they’d experienced first hand Gary’s assistance with a variety of issues over the past twenty-one years. When the campaign kicked off we were hopeful of a positive campaign, with David Edmonds promoting the Conservative clean campaign pledge, and whilst he kept to that in print, sadly as we highlighted both here and here his campaign nosedived into the gutter and on the doorstep the Conservatives were becoming increasingly negative. However, it is clear from the result how the people of Arborfield, people who have had twenty-one years of being represented by Gary reacted to a bunch of total strangers turning up on the doorstep and trying to paint Gary as some sort of waster who would get elected and swan off to his non-existent luxury pad in the South of France, we’d seen how hard he has worked over the years, and the picture didn’t fit. On an increased turnout Gary was returned with more than double the vote of his Conservative challenger, and more votes than he got last election. It was a great result in a borough that many claimed could never return an independent, and one that we’re sure has sent almost as many shockwaves through the local Conservatives as their loss of deputy leader David Lee in Norreys, and Executive Member for Children’s Services Mark Ashwell in Evendons, or the other Independent in the elections Jim Frewin coming second in Shinfield. Put simply the Conservatives have forgotten what it means to be a hard working local councillor. Throughout the campaign whilst the Conservatives were putting out lots and lots of leaflets, Gary as always was active addressing residents issues. Right in the middle of the campaign there was an issue with an exercise class being stopped by over officious security guards on the Garrison playing fields, as always Gary got stuck in. He’d spent that evening at the Parish Council meeting and picked up the problem when he got home. He got in contact late night with Crest to sort it out and the next day Gary had an answer, confirmation from Crest that the class shouldn’t have been stopped and shared it online. You don’t need to take our word for it, his active work for the community can be seen on the Arborfield Community and Arborfield Green Community groups on Facebook over and over and over again. Where was David Edmonds? 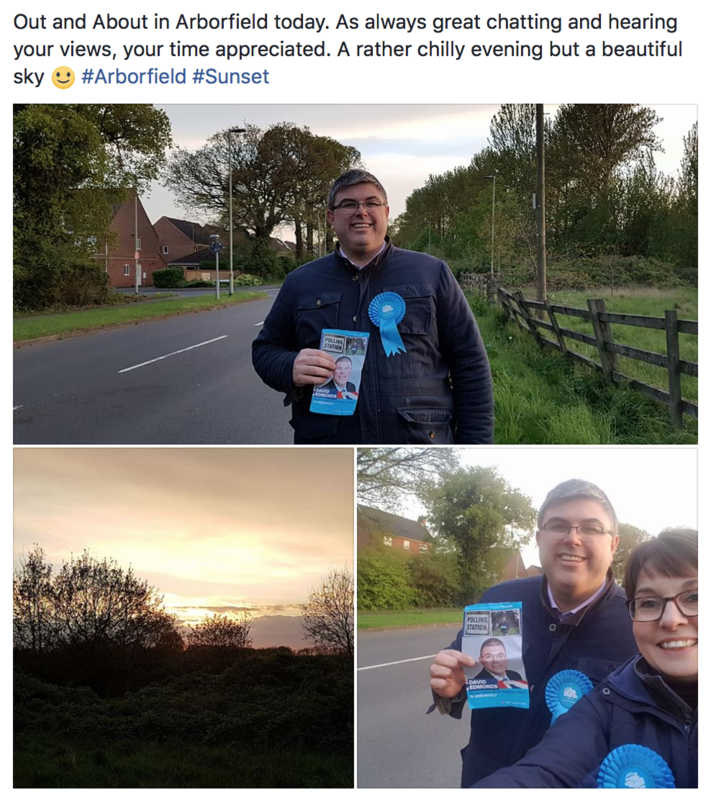 Thanking people for their views but apparently not doing anything except taking selfies around the village and commenting on the weather on his personal Facebook page. The election is over. Hopefully the Conservatives will now step back and consider why in what was regarded as a safe Conservative seat into which they poured hours and hours of time and significant resources they were so significantly beaten, whilst we as a village move forward. Our simple advice to anyone from any party who is looking to follow Gary as Borough Councillor is you need to be visible and working for the village, the result is clear that Arborfield expects a hard working councillor who actively engages with its residents concerns over months and years, not one who just appears six weeks before the election with stacks of glossy leaflets. Use sites like Facebook to engage with the residents, not to show us how pretty our village is, or comment on the weather. Don’t wait for the election, don’t wait to be told, come along to the community forums, come along to the parish meetings, come along to village events, find out the issues, find out what concerns residents, and get working for them. 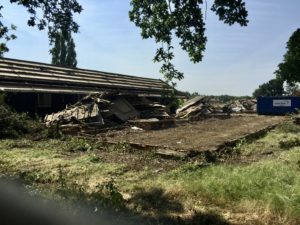 Whatever happens in Arborfield tomorrow, we will still have the same Conservative administration in power, and their plans for the next phase of borough housing development which were revealed previously will continue to move forward as they have been behind the scenes during the election campaign. Although the potential 15,000 houses at Grazeley and the development on the edge of the green belt around Twyford have attracted attention, the Arborfield Garrison SDL creep towards Barkham village on the Barkham Square will have the biggest impact for those of us in Arborfield. Particular points to bear in mind is that the site in Barkham could take up to 1000 additional houses over and above the 3500 already planned for Arborfield Green. It’s also worth remembering that the route for all these new residents is likely to be straight out onto Langley Common Road, so most people going to Reading will more than likely be straight up School Road and down the Reading Road rather than driving in the wrong direction to get onto the bottom of the bypass which is very much positioned for traffic coming out of Arborfield Green via Nine Mile Ride Extension which won’t go anywhere near Barkham Square. Our current councillor has already been involved in discussions over Barkham Square and has explicitly listed the SDL creep development as something he is opposing. The Labour candidate has said nothing about anything, and our Conservative candidate is opposing housing development in Arborfield but has been conspicuously not referring to the Barkham Square development which is potentially ten times the size of the one he actually opposed. The next stage of plans will be up for consultation later in the year. Whoever we have as our councillor it will be important we as local residents have our say. We’ve heard a number of comments describing the clean, positive campaign being mounted by our Conservative candidate over the past few days on the doorstep. 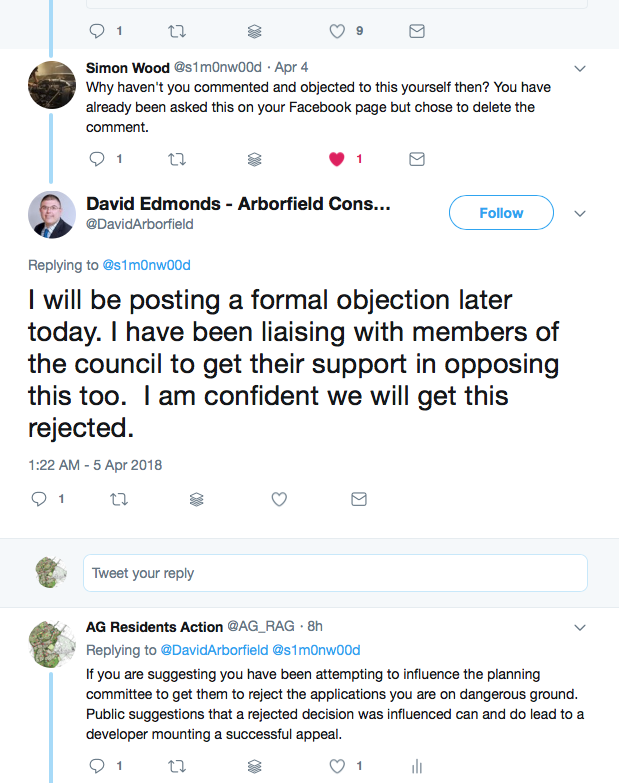 Putting aside the fact that their campaign seems to have degenerated into a protection racket trying to frighten voters – vote for David Edmonds or else we won’t fund anything for Arborfield – lets conduct a little thought experiment about what will happen if what they are saying is true. First off, the council is not allowed to offer different treatment for services to either wards that vote for them, nor punish them by not repairing potholes, collecting fly tipping, or collecting rubbish at a different rate. The Labour leader of Rochdale council is quite rightly facing a standards probe for doing just that. 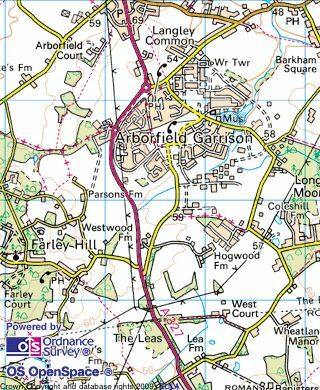 Moving on to the threat to vote down investment in Arborfield, just pause for a moment and think of where in Arborfield this investment will be. First we have Barkham Bridge – the clue here is in the name, it’s in Barkham, a ward that will still have exactly the same Conservative councillor on Friday morning as it’s not up for election. The new schools coming as part of the Arborfield Green development are similarly in Barkham and as academies will be funded from central government anyway. 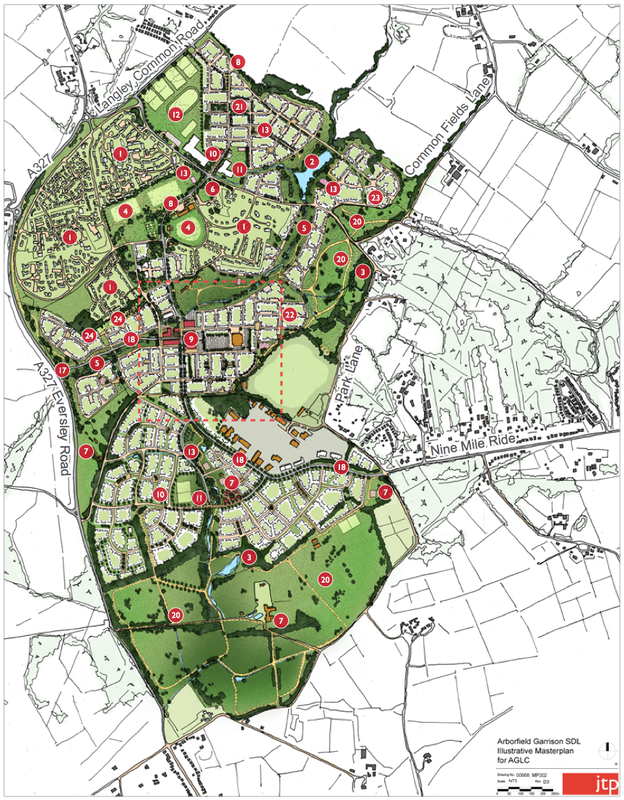 The whole of the District Centre on the Arborfield Green development is all in Barkham. The new Community Centre, in Barkham. Even the location for the medical facilities that we may or may not get is in Barkham ward. Is Cllr John Kaiser really childish enough to want to punish his residents for decisions made by Arborfield residents? The only significant bit of infrastructure coming to Arborfield itself is the relief road, something that will have wide benefit for the borough as a whole. Think for a moment if the Conservatives don’t build the road because Arborfield didn’t vote for their candidate, are the residents of Wokingham, sat in the inevitable traffic jam through the village going to be begging Arborfield residents to do as they’re told by the Conservative party and vote for the Conservative candidate in future? What do you think? Bluntly it’s depressing that the standard of elected politicians of as many years of experience as Cllr John Kaiser, and people who want to be our representative like David Edmonds has fallen so low that all they can come up with at this point in a campaign is behaving like school playground bullies, threatening Arborfield voters that they will be punished if they don’t vote as they’re told to. 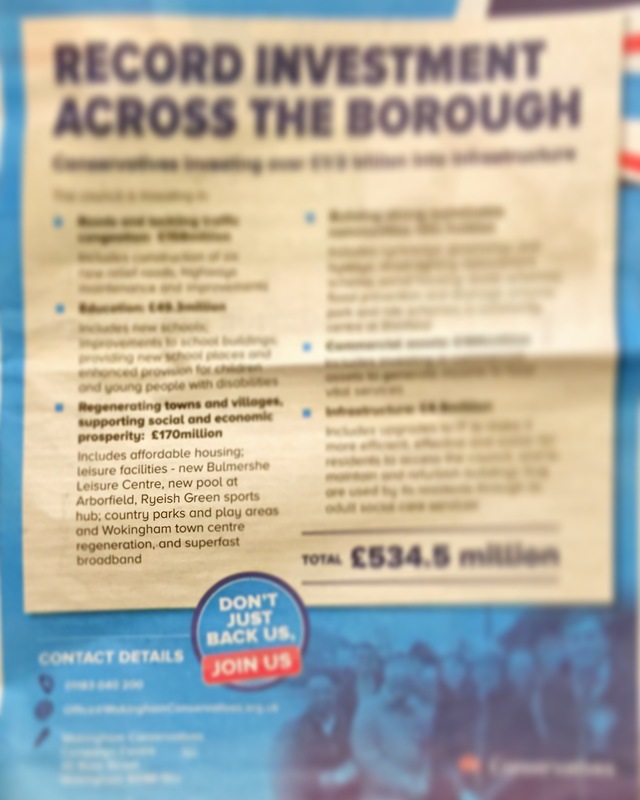 You may have noticed if you read the big Conservative advertisement feature on the outside of last weeks Wokingham Paper that among their list of achievements they list a swimming pool at Arborfield. Now whilst we have lakes and ponds on the new development we weren’t aware of a pool. 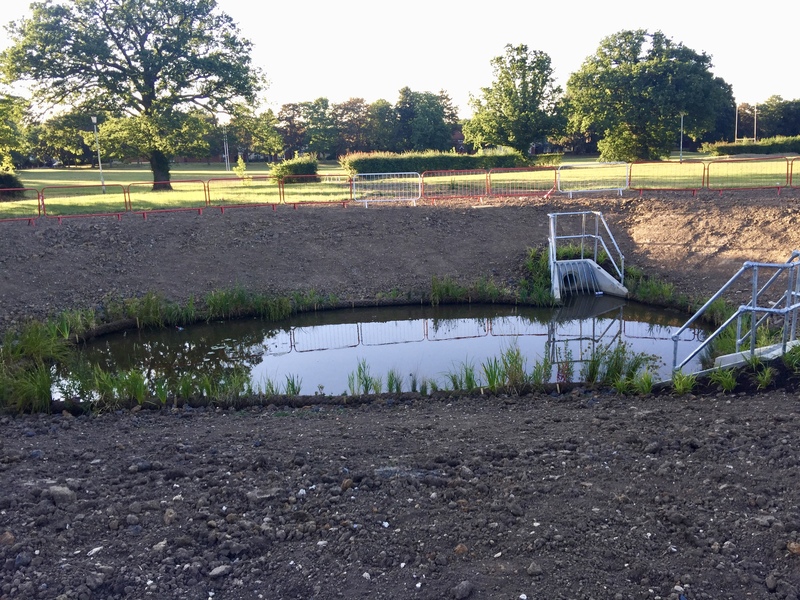 The Council Executive voted unanimously to build a pool in 2014 so even if it hasn’t been built quite yet, maybe we can find out where it will be. First stop the operators of the newly opened Arborfield Green Leisure Centre – not anything on their website, nothing about a great new swimming pool. Maybe it’s going somewhere else? Let’s check out the District Centre consultation, surely Crest would be trumpeting a swimming pool. No, not anything there either. Maybe they’re being ironic and by Arborfield Pool they mean one of the large potholes that are littering the roads around the village? Or maybe the big hole they’re currently digging at the corner of Sheerlands Road and Baird Road is what they think is the Arborfield Pool? Suffice to say, four years after they agreed it, the only place Arborfield Pool seems to exist is in the Wokingham Conservatives list of achievements. This time next week the local election will be all but over, and in much the same way as the politicians are recycling campaign pledges from the last election in these particular seats four years ago, we’re recycling the same grumble about how the politicians seem to get this collective madness at this time and start saying and publishing stupid things. Residents in Finchampstead may have had a few leaflets through the door, and if they’re really lucky a knock on the door, Arborfield on the other hand as we highlighted earlier in the campaign is a key target seat for the Conservatives, with their candidate putting on the miles coming many evenings a most weekends across to Arborfield from his home in Riseley, and seems to have put a veritable forest of leaflets through doors telling us how much the Conservatives care about the people of Arborfield. He’s not been alone. Amongst other guest canvassers we’ve had Fraser McFarland, the Wokingham Constituency campaigns manager and even Charlotte Haitham-Taylor, leader of the Borough Council. With the critical final weekend of the campaign coming up we can expect the Conservatives to throw everything they’ve got at Arborfield to try and persuade residents how much they care. So lets take a look back at the campaign so far. Things started positively with the local Conservatives signing up to the party clean campaign pledge. However hearing reports from various encounters over the past couple of weeks, the no attacks on other candidates part seems to have gone a little off the rails under the pressure of the campaign. One that has come up several times is a classic bit of whataboutery where in response to a comment about their candidate they highlight something totally irrelevant about the opposition, in this case claiming that Gary Cowan spends half the year at his “house in the south of France”. Unfortunately that is a lie, but as always sprinkled with some half truths. Gary does visit France quite frequently, but that’s because he has family out there. The lie is also intended to suggest that his trips to France detract from his role as a councillor – luckily Wokingham Borough Council records meeting attendances and you can easily check them out online, this is the page for Gary where you can see that he’s only missed three meetings he was required to attend since they started recording in 2015. The page also highlights that over and above his expected attendances at council meetings Gary has attended a significant number of additional Executive and Planning Committee meetings during the period either to ask questions, or when items relating to Arborfield were up for discussion. Certainly our experience is that we have no complaints about Gary’s personal life interfering with his work as a councillor. Gary arranges visits to his family to ensure he is around for important meetings, and even when he is away is keeping up to date with emails and what is going on locally, and will respond pretty swiftly if we’ve raised any issues. The other doorstep gem is that Gary “wasn’t good enough to be a Conservative”. That’s slightly rich considering he was the official Conservative candidate for two decades, but is perhaps a compliment considering he was deselected because he didn’t do what he was told by the party over Grazeley, and instead remaining committed to a promise on which he was elected. He is continuing to remain committed to the promise not to back development at Grazeley in his manifesto for this election too. Probably a question to consider is that if a good Conservative does what he is told by the party, what does that mean about priorities for any Conservative candidates? Anyway, enough of the Conservative personal attacks on Gary. In both Arborfield and Shinfield there are independents running, Gary Cowan in Arborfield and Jim Frewin in Shinfield. Both are highlighting concerns about the secrecy with which the Conservative administration at the council operates, and in both seats the Conservative campaign is trying to highlight their apparent inside access to the secrecy of the Conservative administration as an advantage. 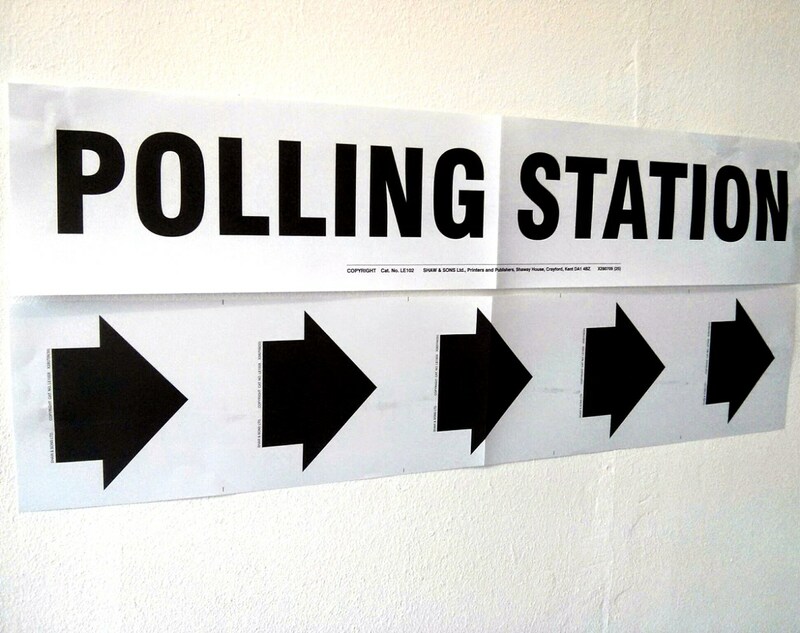 Probably the first thing to be aware of is that wards can’t be punished for voting for an opposition or independent candidate, nor can wards get special treatment as a reward for voting for the controlling party, indeed a council leader in Rochdale is facing a standards probe for suggesting that council might cut roads funding to wards that didn’t elect a Labour councillor. All the services such as fixing potholes, fly tipping and rubbish collection are consistent across the whole borough, Conservative wards get a weekly bin collection, so do the wards currently held by Liberal Democrats, Labour or Independent. Similarly the council officers all act impartially whatever the affiliation of the councillor they’re dealing with. The Conservative candidates are selling their exclusive access into the secretive workings of the governing party, but of course we don’t really know what goes on inside the party, indeed we only found out about Grazeley as a result of Gary breaking ranks and leaving the party. The entire Grazeley bid was kept secret and only published online once the story had leaked out. In terms of asking public questions, the Conservative group is of such a size that they ration out questions, so any Conservative councillor would have to ask permission from the party to ask a question in public. An independent on the other hand is entitled to ask whatever questions he or she likes. The key point with the public questions to council meetings is the answers get minuted. Where do private meetings within the Conservative group get minuted? If we have a pressing issue in Arborfield, would a party affiliated councillor be able to ask the question in public, or highlight the issue to the local paper, or would they be restricted by party governance? An independent can table a question and go to the local paper or social media and highlight it immediately. 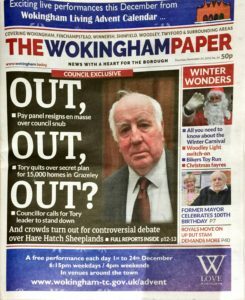 Compare how much coverage Arborfield issues have had in the Wokingham Paper since Gary became independent, compared with when he was one of forty-five Conservative councillors. Moving on, we have written separately about the medical centre, but the real problem with the campaign is that the CCG who would be responsible for providing the staff for it, have been consistent about it not being viable, and consistent about their policy of providing a smaller number of larger practices and closing or merging the small practices, and consistent about not being willing to fund it. It’s also consistent with the changes in general practice across the country of increasing the services GP practices provide such that there are simply not currently the numbers on Arborfield Green to justify a whole new practice given that Finchampstead Surgery is less than two miles away. 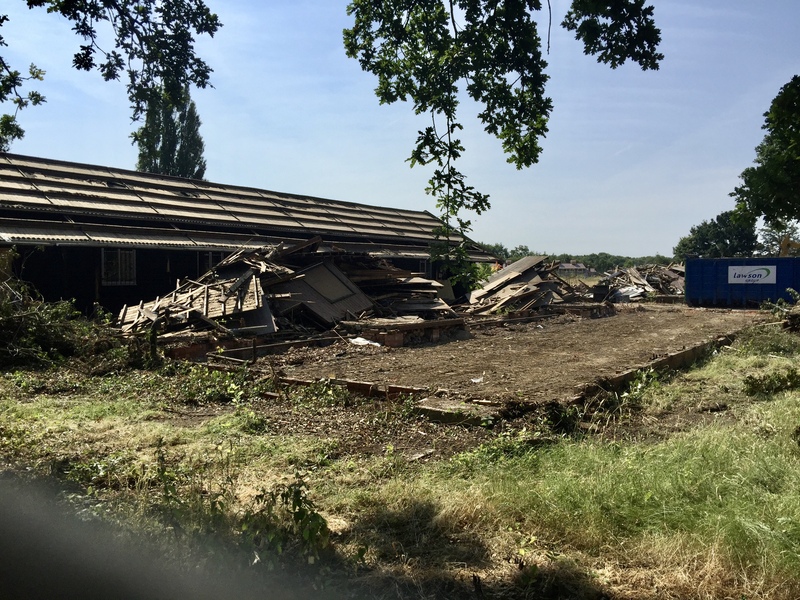 The only way it would be viable is if the local area took a hundreds of extra houses such that existing Finchampstead and Swallowfield surgeries became too large. The CCG figures are that between Finchampstead, Swallowfield and Shinfied an additional 22,900 people can be accommodated before a new surgery is needed. That brings us onto the perennial issue of housing numbers. It’s fair to say that every single election for years and years the Conservatives have run on a plan to reduce housing numbers, most notably in 2010 when in the run up to the election they promised that if we elected a Conservative government and a Conservative council the imposed Labour housing numbers could be dropped and the housing numbers cut. In 2010 the Conservatives were elected locally, a Conservative led government elected at Westminster, the Westminster government abolished the top down housing targets, and Wokingham Borough Council then voted through exactly the same number of houses as the previous Labour government had mandated. Similarly at a borough level this year they are running on a similar promise to cut housing numbers, but the question is whether this year will be any different from all the other promises that came to nothing. The government is still pushing councils across the area to build lots and lots of houses, and are offering financial rewards to those who do. In reality unless there is a significant change of direction nationally, whoever is in power in Westminster there will be a drive to build more houses, especially in popular areas such as the south-east of England. More locally, both the Conservative candidate and Gary Cowan our Independent are talking about opposing housing development. There are differences though, in particular David Edmonds is explicit on his five point plan of opposing “housing development in Arborfield”, whereas Gary lists a number of other developments outside Arborfield but that will directly impact us. 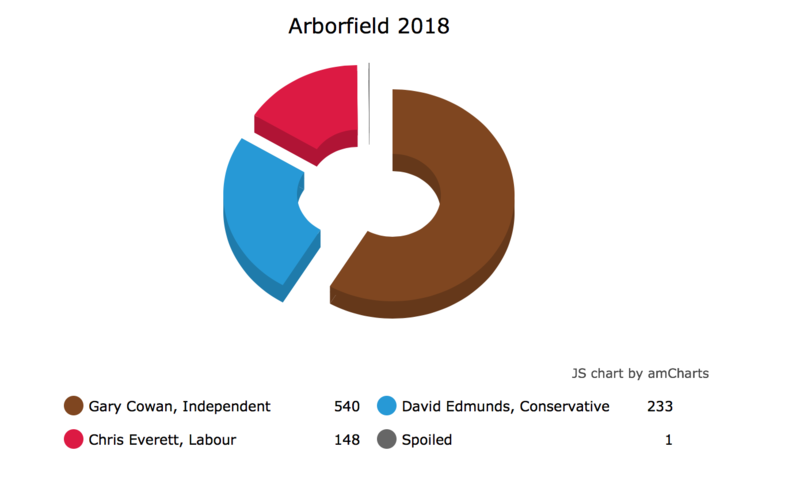 An important point to remember here is that what most people think of as Arborfield and what is Arborfield in council ward terms are somewhat different. 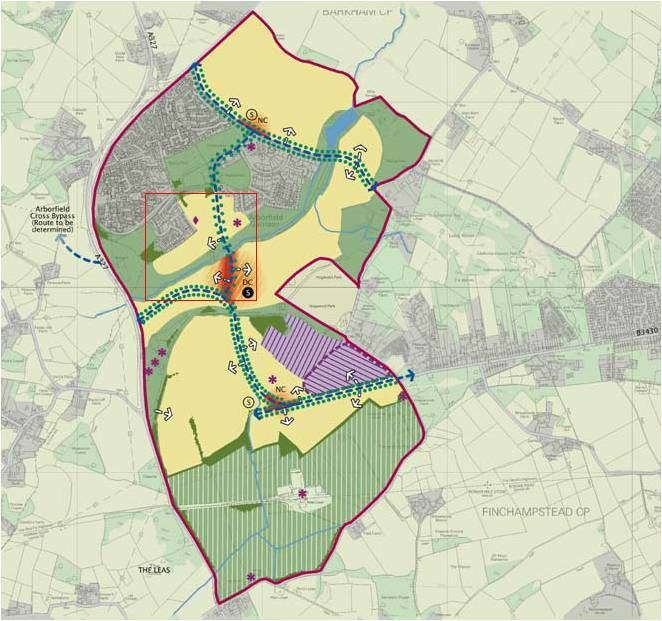 In council terms there has been no significant housing development in Arborfield since Poperinghe Way was built – all of what is known as Arborfield Green is either in Barkham or Finchampstead ward, even the twelve houses going in on the corner of Sheerlands Road. The significant numbers of additional houses expanding the Arborfield Green development still further are also not in Arborfield, they are in Barkham, so Edmonds can quite happily promise to oppose housing development in Arborfield, whilst the Conservative administration pushed forward with Barkham Square and Grazeley. Edmonds can quite happily go on opposing opportunist proposals like School Road because he knows Grazeley and Barkham Square alongside the existing build out of Arborfield Green will be supplying hundreds of additional houses for years to come. Maybe it’s local developments like Barkham Square and the additional residents those houses will bring that make Edmonds so confident he can get a medical centre? Finally, the campaign this time has been conducted a lot more on social media. Over in Finchampstead there has been a good deal of discussion over local issues, in particular over the lack of progress on California Crossroads, and the failure to deliver the safe cycleway along Nine Mile Ride to Bohunt School, both issues we have campaigned on over the past few years. Unlike Arborfield candidates from all of the parties have been active in those discussions. Gary Cowan has been visible on many of the local pages and groups as he has been over the last few years as councillor, however David Edmonds has been primarily keeping himself on his private Facebook page where he can control the comments that are left – both the Arborfield page and ourselves have offered David an opportunity to participate, but he has unfortunately kept himself to his own page. There have been a couple of quite entertaining discussions with “residents” over issues on David Edmonds private page though, although it doesn’t take much to discover that many of the supposed residents he’s discussing with are actually Conservative supporters from elsewhere in the borough. The “discovery” of the Neighbourhood Action Group and inviting residents along was also another entertaining moment – the Arborfield page which he has largely ignored has promoted a number of the public NAG meetings in recent months (it’s official name is the Fields Community Forum), and anybody signed up to the Thames Valley Police neighbourhood alert scheme would also get notifications, so it’s not exactly some big secret, indeed the Fields Community Forum is the same NAG that covers his own home village of Riseley. 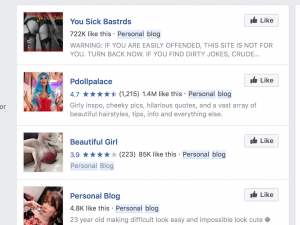 The other slightly bizarre thing about his page is that he classified it as a personal blog rather than the more usual Politician or Political Candidate options. This has led to a number of people contacting us about the shocking sites his page links to. Whilst there are Conservatives with pretty shocking content on their pages we’re pleased that David Edmonds isn’t one of them. 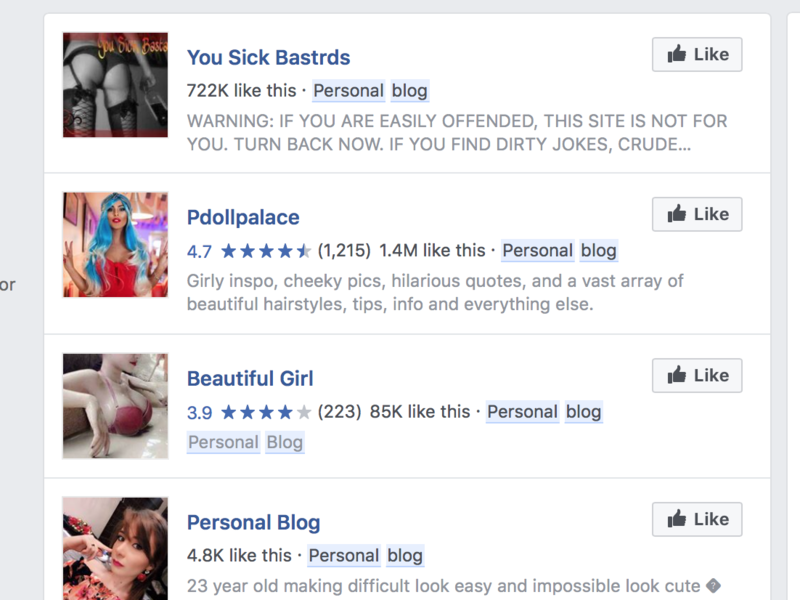 Whilst clicking on the link marked “personal blog” in the about box on his page does go to a list of links with some pretty surprising content, as you can see here, that is actually Facebook showing you other pages classified as personal blogs, not ones Edmonds himself has selected. Put it down to inexperience with social media rather than anything more worrying. If his campaign had correctly categorised the page, you’d be looking at a list of other politicians pages rather than all of these! So who will be elected? As always it is up to you the electorate. As the Wokingham Paper editorial today said, vote for the vision of Wokingham, Arborfield or Finchampstead you believe in. Last night was the next Arborfield Community Forum. This used the new marketplace model with stands for each topic rather than presentations. However there were several key bits of information that came out. Probably the most significant bit of news is that Crest Nicholson have secured the Barkham Square site with a view to putting an additional 800 houses onto the site. Crest are already in consultation with the council about the site meeting part of the next cycle of housing development for the borough. 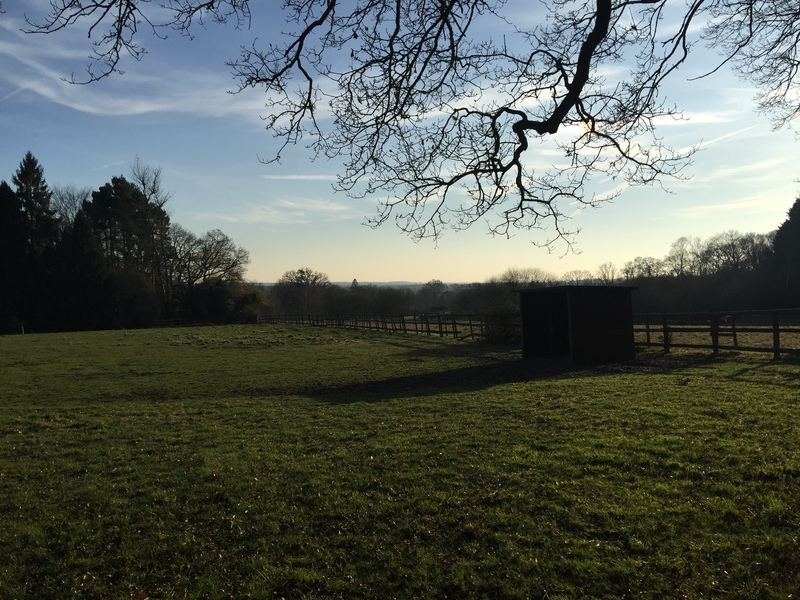 The site had already been listed as one of their major strategic development sites alongside sites around Twyford and Grazeley, given that Barkham Square is an expansion of an existing development it is probably the least controversial of the proposals across the borough. 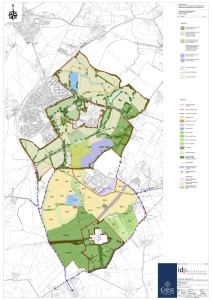 There was also news about the other part of the existing strategic development location, which was put through planning by the Marino Family who currently own the Hogwood Farm site. Also present at the Community Forum were representatives of Legal and General who are currently developing the TRL site in Crowthorne. Prior to last night we’d heard rumours that the Marino Family were selling the land, at the Community Forum it was confirmed that Legal and General were buying the site and are going to be developing the project. 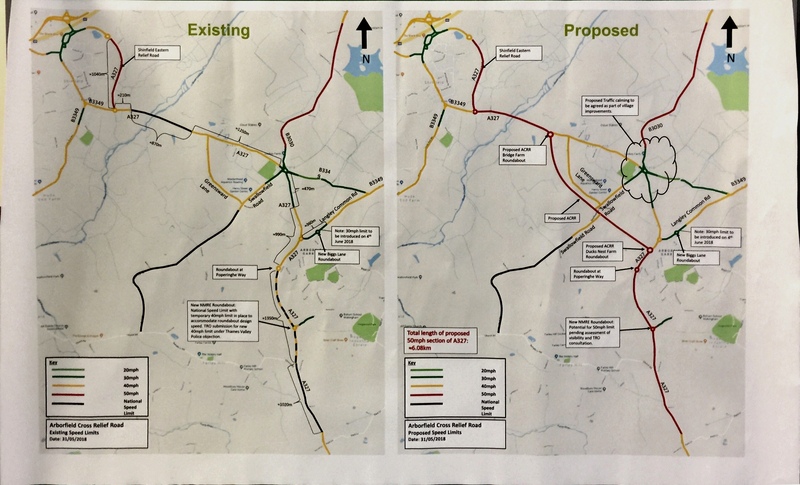 This hopefully will allow key parts of the southern part of the SDL to be moved forward, in particular the missing section of the Nine Mile Ride Extension which amongst other things will make access to Bohunt School a lot easier from Finchampstead. Across the rest of the development Crest offered an update on the next phases of the work up to March 2018. Key upcoming phases are a number of parcels along Biggs Lane, in particular the new primary school. They are also moving forward on the controversial parcel based around the current Church Car Park, and a parcel beyond the current gates on Princess Marina Drive. The Borough Council had a number of displays at the Community Forum. Firstly they had a display of the ongoing changes at California Country Park. This included details of the street lighting proposals for the California Greenway. Unfortunately they are still very much proposals, which renders the viability of the Greenway as a safe route from Bohunt School for Finchampstead students pretty moot. 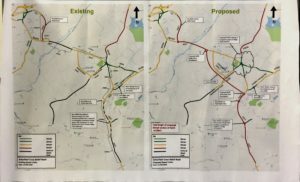 They also had a display of the Arborfield Cross Relief Road plans which are currently going into a detailed design phase ready for a planning application in the winter. The council was also promoting the new Arborfield Leisure Centre, which is rather optimistically being described as being on Sheerlands Road – it’s actually along the Nine Mile Ride Extension and is a similar concept to the leisure facilities at St Crispins making use of the sports all and all weather pitches built as part of Bohunt School. The council were also giving out documents for two important consultations. The first is as a result of the significant cuts being made to the money Wokingham Borough receives from central government. This means that the council is consulting on what cuts to make, or whether to increase council tax or to increase or add charges for council services. The consultation can be filled in online. The second consultation is on the borough plans for Transport and Highways, which includes the gem of a question “How often do you find your car journey affected by road works in Wokingham Borough?”. Again this consultation can be filled in online.